This season is all about the bold stripe. We've found 10 different ways to have a little fun with this trend. We know what you are probably thinking: "Why would I want to make my growing belly look any wider than it already is?" Well, take note from Malin Akerman. The new mom accentuated her baby bump in a horizontal, form-fitting dress at 8-months pregnant. She looked stunning—and you can, too! It's all about finding the right cut and style. 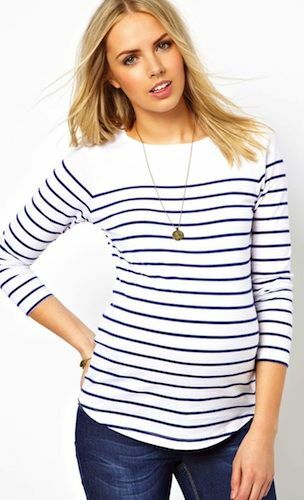 Here are 10 different ways to wear stripes with your baby bump. One of the most flattering ways to wear this basic pattern is to stick with a skinny stripe in a neutral color. Don't be afraid to showcase your growing belly! 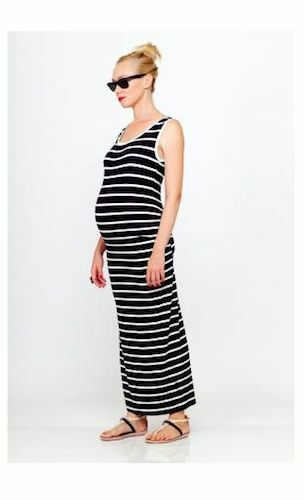 Try something with neutral stripes and a fitted, empire waist to play up your beautiful bump. Stripes work well in a longer length. Try a slim-fitting maxi skirt. A tunic is a pregnant woman's best friend! Pair this style with a comfortable pair of leggings for a casual yet chic look. Take the classic Breton stripe to the next level with bright, contrasting colors. Wear a casual Breton stripe top with a pair of your favorite tailored dark-wash jeans for a timeless, classic look. Highlight your newfound curves in bold-colored stripes. Opt for something in a bright blue, tangerine or a playful pink. 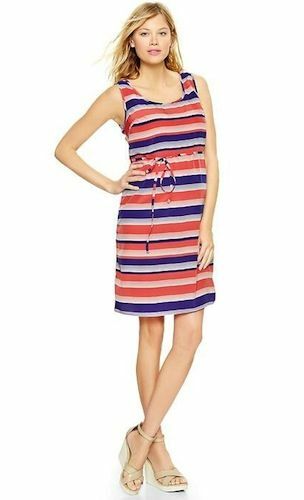 Pump up your maternity style with an unexpected diagonal pattern; a modern take on the basic horizontal stripe. 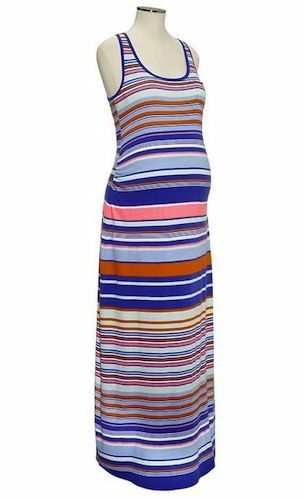 Play up your baby bump with some loud graphic stripes! The bold accent will complement your new curves in a form-fitting dress. 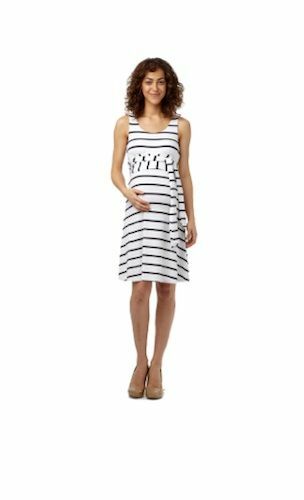 This neutral stripe pattern is a staple for your maternity wardrobe. You can wear it with almost anything! Style this look by layering it with a colorful blazer or cardigan.